Coloni Motorsport means more of 30 years of racing history. 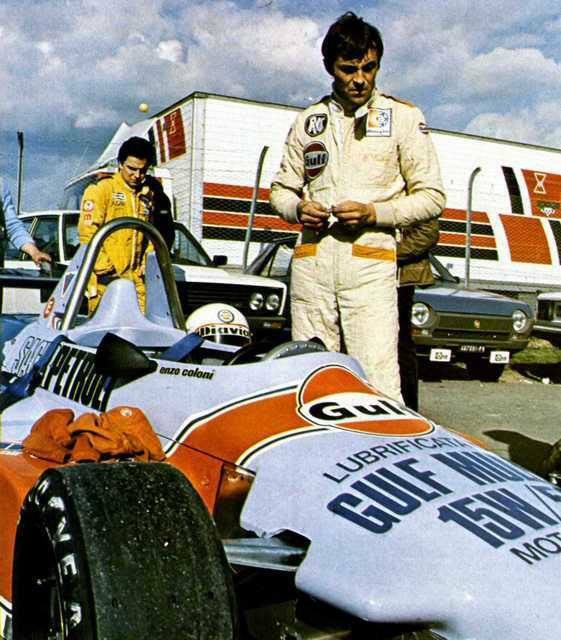 In 1982: in his last year as a racing driver, Enzo Coloni decided to found his own racing team, and it was an immediate success. He won the Italian F.3 title, and then retired to focus on his new job as a team manager. 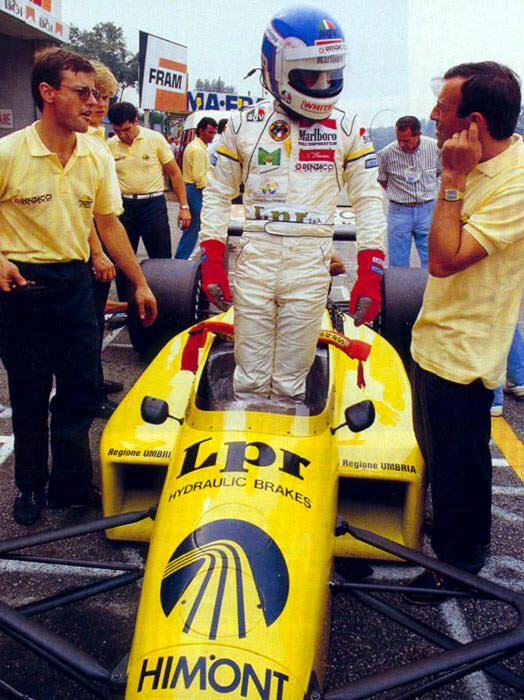 From then on, Coloni Motorsport was the squad to beat, winning again the Italian F.3 Championship in 1983, this time with Ivan Capelli as the driver. 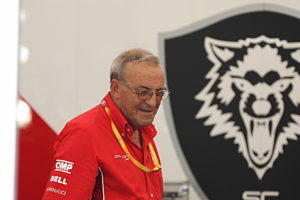 Stefano Livio, the team’s other driver, was runner-up in the series. Boosted by the great number of wins in Formula Three, Enzo Coloni decides to step up to the main scene of motor racing, Formula 1. From 1987 to 1991 he fields his car, equipped with a Subaru engine, in the World Championship. Back in the times where engineering ideas were welcome in F.1, Coloni decides to keep the Subaru soul, equipping his chassis with a 12 cylinders boxer engine, with the very well known Carlo Chiti as the project manager. Those were difficult but exciting years, in wich Enzo Coloni was the door to F.1 for a lot of talented drivers (10), names like Ivan Capelli, Gabriele Tarquini, Roberto Moreno and Bertrand Gachot. In 1992 the team goes back to his roots, but in the same, well known Coloni style. Enzo doesn’t like racing with a car built by someone else, so he create the FTS in a joint-venture with the Perugia University. In 1993 the racing tracks of Europe are shaken by another Coloni. 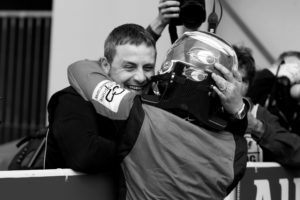 Paolo, Enzo’s son, who races from 1989 is among the fastest drivers of the F.3 pack, managing a second place finish in the renowned Malboro Masters of Zandvoort, the best ever result for an italian driver there. 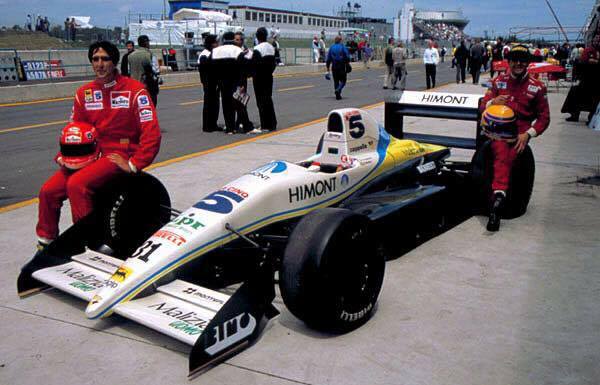 In 1994, again, Coloni builds something new: the Superformula is a great idea: it’s less expensive than F.3 and much faster, the perfect step to F.3000. 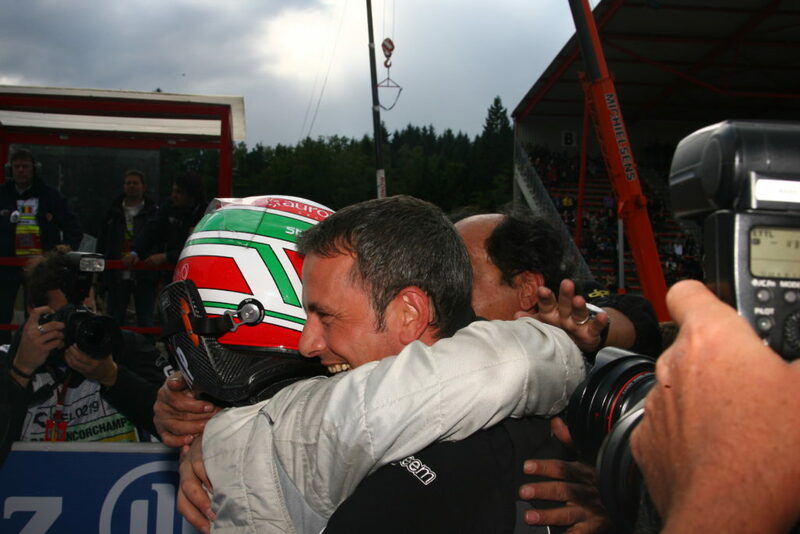 Enzo Coloni builds the car and organizes the championship, a huge success that will launch Marc Gené to Formula One. And that isn’t all: 1994 is also the birth year of the Formula Open by Nissan, another great success that helps the growth of motorsport in Spain. In 1996 Coloni Motorsport decides to enter in the Fia International F.3000, a new adventure with Paolo Coloni as the head of the team. The italian squad boasts an unflagging work which means a constant improvement in performances. In 2002, the team is runner-up both in the drivers standings, with Giorgio Pantano, and in the teams classification, winning four races out of 10. 2003 sees a double commitment for the team. Enzo Coloni fields two squads in the International F.3000, one as Coloni Motorsport and the other as Red Bull Junior team. The drivers are Ricardo Sperafico, Zsolt Baumgartner, Vitantonio Liuzzi and Patrick Friesacher, and the result is an astonishing record of 10 podiums in a row, with Sperafico runner-up in the championship. The team also gets back in F.3 where Enzo Coloni, as usual, chooses the unusual way. In a series dominated by Dallara he decides to race with a Lola, but still manages three wins and the runner-up place in the standings. In 2004 the team wins the Italian F.3 championship with a very fast finn, Toni Vilander, able to get an astonishing seven wins. In 2005, after an agreement with the italian F.1 driver, Coloni Motorsport races as Fisichella Motorsport. 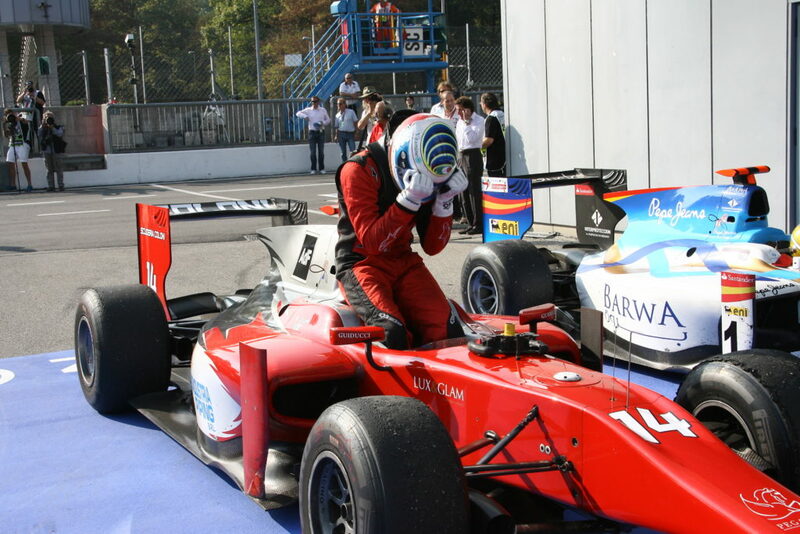 The team first races in the Italian F3000 series, its two young drivers dominating from the very first race. Consistent race wins and reliability led to FMS winning the Drivers and Constructors championships in its first season of competition. In 2006 this success was repeated when Fisichella Motor Sport took back-to-back Championship titles in the newly named Euroseries 3000 Championship, with its drivers coming first and second in the championship. 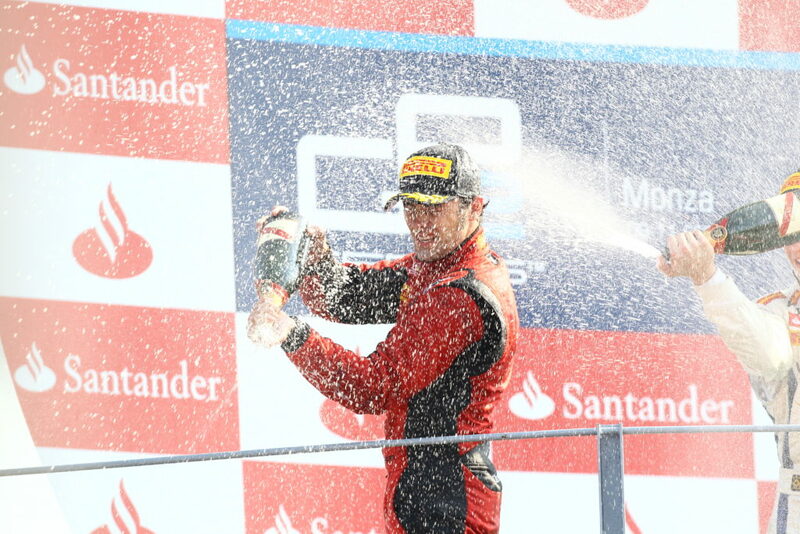 They also took first and second in the Italian F3000 Championship. The agreement between Coloni and Fisichella in 2006 is extended to the GP2 Series, with the birth of FMS International. 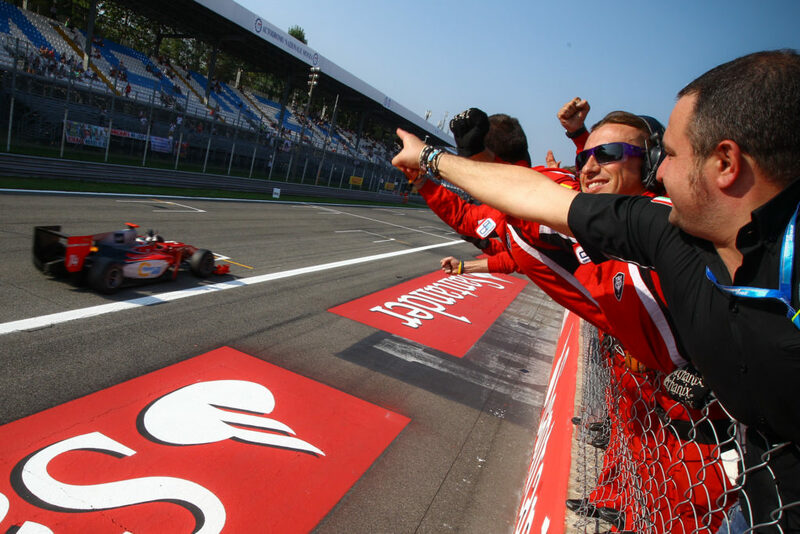 The collaboration, twinned with Giorgio Pantano’s return to the series, resulted in two race wins during the 2006 season, and a late season flurry of strong results catapulted the Italian outfit to fifth spot in the teams’ championship. For the 2007 season, Coloni-FMS International began the year with former F1 driver Antonio Pizzionia in its lead car, alongside a young team-mate in Jason Tahinci. Adam Carroll took over driving duties from Pizzonia from the sixth race onwards and, with two races remaining in the season, the Ulsterman has scored two race victories (in Silverstone and Hungary), and three further podiums. Carroll finished the season in a strong seventh place in the drivers’ championship. 2008 has been a very important year for Fisichella Motor Sport International. The company entered three more championships: GP2 Asia, F. BMW International and Superleague with a total of eight cars running the colors of the italian Team. Excellent results in all series with a total of 6 podiums meant consolidating its presence on the international scene and showing its performance on TV channels all over the world. In 2009 the agreement with Giancarlo Fisichella was over, and the team went back to his old name. As Coloni Motorsport the squad has entered the Euroseries 3000 as well thus making it the Team with the largest presence in the world of motor sport. In 2010 Coloni Motorsport participates in the GP2 Asia Series with Will Bratt and Alvaro Parente (7th in the Drivers’ Championship). The team also participates in the GP2 Main Series with Alberto Valerio (5th in Monaco) and Vladimir Arabadzhiev (9th in Valencia). Same category in 2011, the year that sees Coloni 7th among the teams. Luca Filippi was very near to the absolute success among the drivers, finishing in 2nd place overall. The other drivers: Davide Rigon, Michael Herck and Kevin Ceccon. 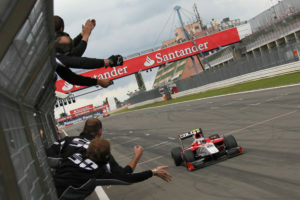 2012 is the last year in which Coloni Motorsport took part in the GP2 Maun Series. That year 3 drivers: Stefano Coletti, Luca Filippi and Fabio Onidi.